The Independent Scientific Review Panel said six major habitat projects that are part of the Columbia Basin Fish and Wildlife Program met scientific-review criteria, with qualifications. The ISRP presented its findings at the Northwest Power and Conservation Council meeting March 14. In its March 10 report, the ISRP concluded that although projects have made significant improvements in developing comprehensive landscape approaches to restoration, more progress is called for in adopting ecological-based whole watershed, or ridgetop-to-valley-bottom, restoration. For example, the report said, habitat projects need to address "upstream and upslope factors that can have major influences on meeting aquatic habitat restoration objectives." Presenting before the Council, the panel Chairman Steve Schroder said habitat projects needed to develop formal adaptive processes to help in refining restoration work and for learning to take place. Also, projects need to quantify the status of and trends in habitat conditions and fish populations at a landscape scale, and in a way that links them to the habitat-restoration activities, he said. 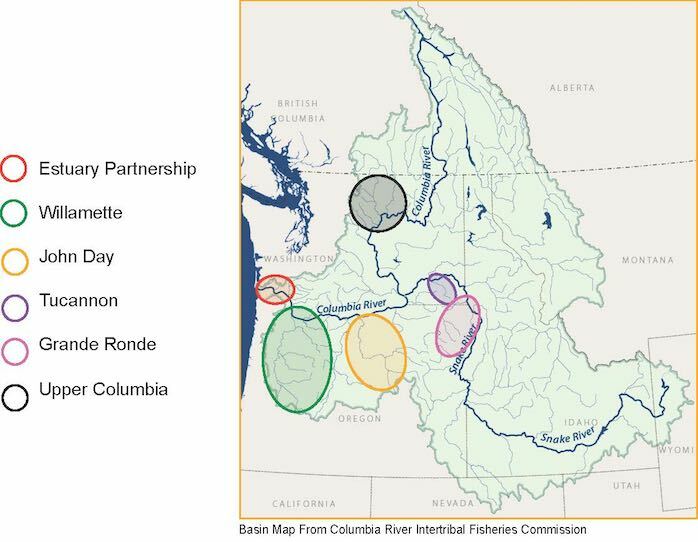 Schroder said that just two of the projects--the Columbia estuary and Willamette ventures--used adaptive-management and program-progress assessments requiring quantitative objectives with timelines. One other, the Tucannon River project, had quantitative objectives but no established deadlines for completion, he said. These six projects solicit proposals and make grants for restoration work in their target areas. The Council refers to these BPA-funded programs as umbrella projects. A seventh umbrella project, not part of the March 10 assessment, is the Columbia Basin Water Transactions Program. The ISRP report identified obstacles to evaluating progress through adaptive management, including requirements for quantitative objectives with clear timelines and "appropriate monitoring, access to monitoring data, and an explicit plan for evaluating and documenting outcomes." Monitoring, learning the results of habitat monitoring and paying for them are issues the Council has been grappling with for some time. This issue was not lost on the ISRP scientists. Schroder said that in some instances, even though the habitat-effectiveness monitoring programs CHaMP, ISEMP and AEM were operating in the umbrella project areas, "data that could help to examine effectiveness was difficult to obtain." He also underscored the importance of monitoring in evaluating landscape-scale restoration actions. The report said that monitoring and evaluation at a landscape scale "may require additional technical capacity beyond what currently exists for some umbrella projects." For fiscal year 2017, the budget estimate for the six projects is about $15 million, Erik Merrill, the Council's manager of independent scientific review, told NW Fishletter in an email.